The province will halt planned premium increases to the seniors' pharmacare program. The province said Thursday it will halt planned premium increases to the seniors' pharmacare program. Premier Stephen McNeil said seniors told him the changes were "too much, too soon." "One of the things I heard consistently from seniors was that the problem we were trying to solve, they agreed with — but we actually solved it for a group of seniors, but we actually shifted it to another group," McNeil said. The province said pharmacare premiums for seniors will no longer increase on April 1, and the maximum premium payment will remain at the current rate of $424 a year per person. Seniors on a guaranteed income supplement will continue to be exempt from paying premiums and the co-payment will remain at 30 per cent per prescription to a maximum of $382 per year, the province said. 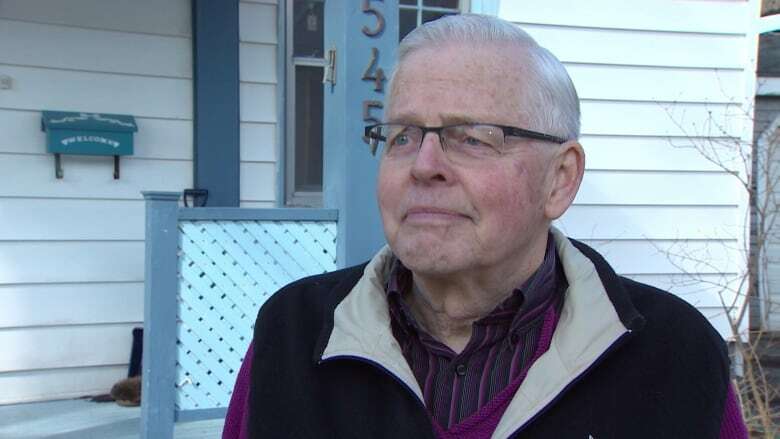 "Good news today," said Bill VanGorder, chair of the Canadian Association of Retired Persons in Nova Scotia. "I think they realized they made a mistake. This was just not fair legislation and regulations for seniors and they've got to go back and make it right this time." VanGorder said his group was very concerned about the proposed changes and he received more phone calls, letters, and emails on this issue than any other in the eight years he's been with CARP. "It was too big an increase, it didn't cover the right kind of people and it wasn't fair to couples, it wasn't fair to people who were on the [guaranteed income supplement]." VanGorder said there's still a lot of work ahead to make sure the government gets pharmacare right. "I do think if they had more thoroughly vetted it with seniors and seniors' organizations like CARP earlier they might have been able to avoid making the mistakes they did," he said. VanGorder said seniors understand there must be some sort of increase, but it should be fair to everyone. "We want to help [government]. We understand, this is an insurance program. There hasn't been a change in the cost for eight years so there need to be some adjustments," he said. The province said one change will proceed with the pharmacare program. It said low-income seniors will have their premiums reduced or eliminated. The province estimates 12,000 people who paid a pharmacare premium in 2015 will not pay in 2016. McNeil said the problem is rates should have been increased over the years, but successive governments avoided doing that. McNeil said it was wrong to "have them all ganged up at once." "If there is to be adjustments in the premium going forward, can we de-couple incomes at the same time as opposed to doing what consistently has been done for quite some time?" He didn't set a timetable for making further changes. Opposition parties were critical of the McNeil government's previous attempt to push the pharmacare changes through. "Had they properly done their homework, including consultation beforehand, a lot of this could have been avoided," said Progressive Conservative Leader Jamie Baillie. "It's a real victory for seniors today, who organized and spoke up. The government tried to take advantage of them and learned, to their own peril, that you just can't do that." Interim NDP Leader Maureen MacDonald also called it "a good day for seniors." She agreed with Baillie, saying there was a "reckless" lack of consultation by the province. "It doesn't take a rocket scientist to see that off-loading the cost of pharmacare onto seniors and reducing government's share of paying for that program isn't going to go down well with people. They tried to pull a fast one with seniors. It didn't work."